because we’ve invested heavily in the right equipment and the continuing education of our team. 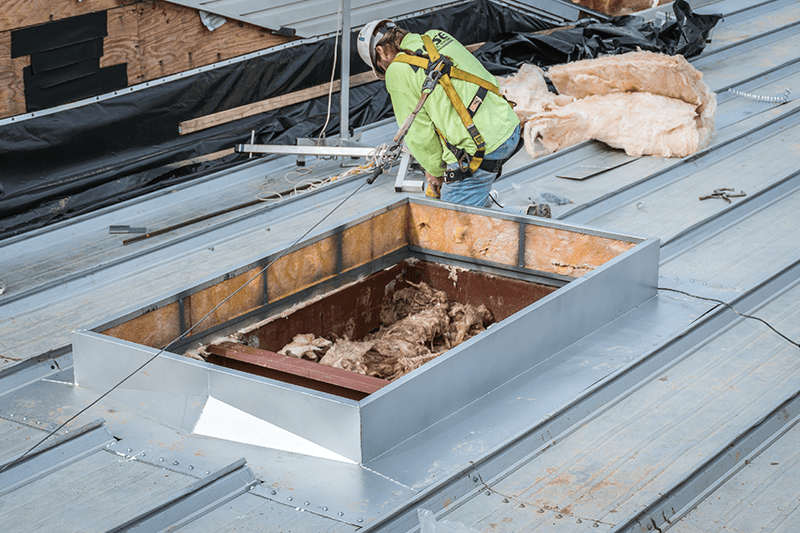 Over our years of experience in the industry, we’ve built a reputation on the highest quality workmanship for metal roof repair, renovation and re-roofing. We will work with you to deliver the best possible solution for your metal building renovation and repair needs. Our commitment is to provide the best possible solution that matches your needs. We will work with you to identify which roofing system is the best fit. With a wide selection of products and colors, the possibilities are endless! Roof leaks can become a costly nuisance if not addressed correctly. Before throwing in the towel, reach out to the metal building repair specialist. We identify the cause of these problems and offer a solution that is guaranteed to last. We also provide peace of mind, by offering annual roof inspection services. Damage to wall panels is a common risk in high-traffic, metal buildings. RMB can offer solutions for replacing damaged wall panels or to completely reskin your building. We will provide the best possible solution that will get the most value out of your investment. 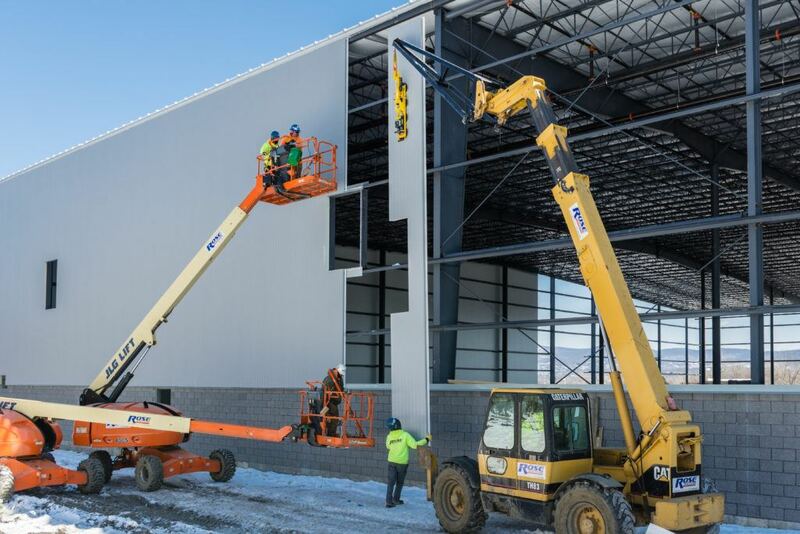 Insulated metal panels (IMPs) provide unsurpassed thermal efficiency that will result in lower energy usage for your building. RMB specializes in the installing of IMPs, using our in-house vacuum panel lifters. 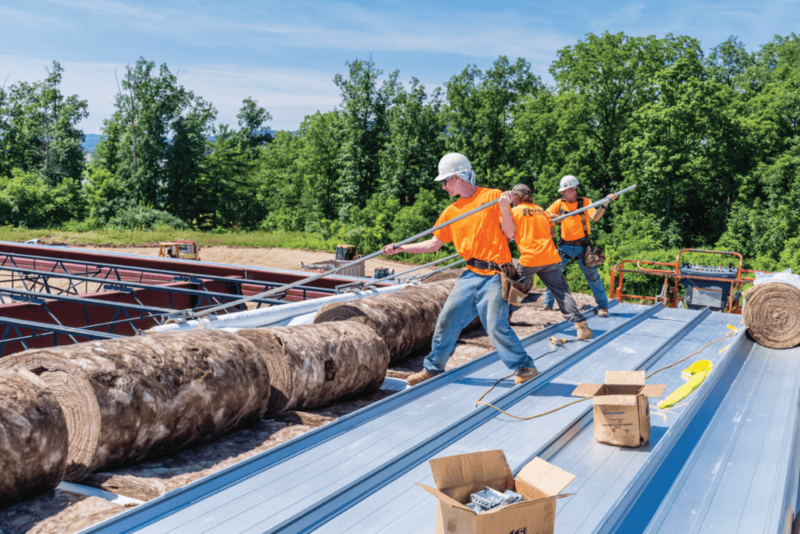 We provide retrofit insulation systems that add value to your existing steel building while reducing your energy costs. 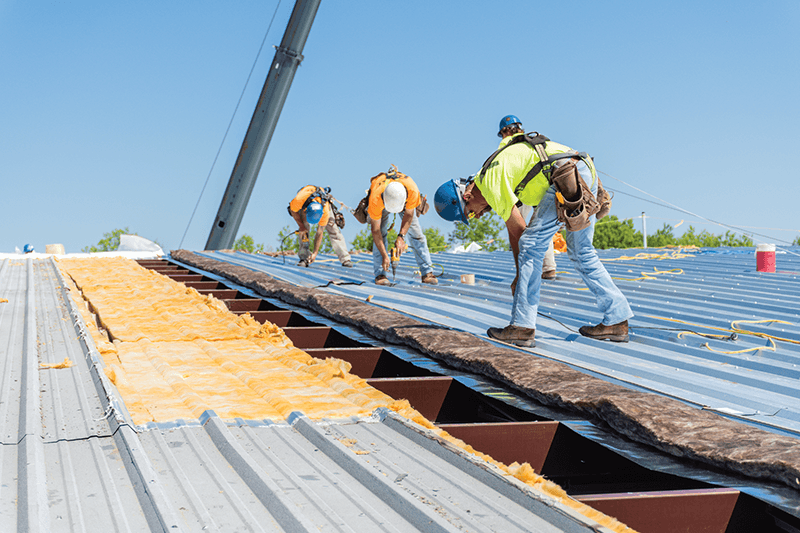 We furnish and install high-performance insulation systems designed for use in metal building systems for both the roof and the walls. Our solutions meet the latest energy codes. If trucks and heavy machinery are a common presence on your work site, damage to your property is an unavoidable fact of life. If a column has been damaged, it is imperative that it is evaluated immediately. RMB will assess the damage and provide the solution that maintains the structural integrity of your building. Leaky gutters can be replaced and trim repaired to protect your building. We can add or repair roof and wall framed openings for louvers, windows, man doors, dock doors and roof curbs.